Marks permanently on most surfaces. The industrial marker of choice. Broad chisel point tip makes fine or wide lines. Note: A minimum quantity of 1272 must be ordered, and in units of 12 thereafter. 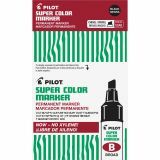 Pilot Super Color Permanent Marker, Chisel Point, Black, 1 Each - Chisel-tip permanent ink marker works well for general purposes. Fast-drying, permanent ink will write on most surfaces. 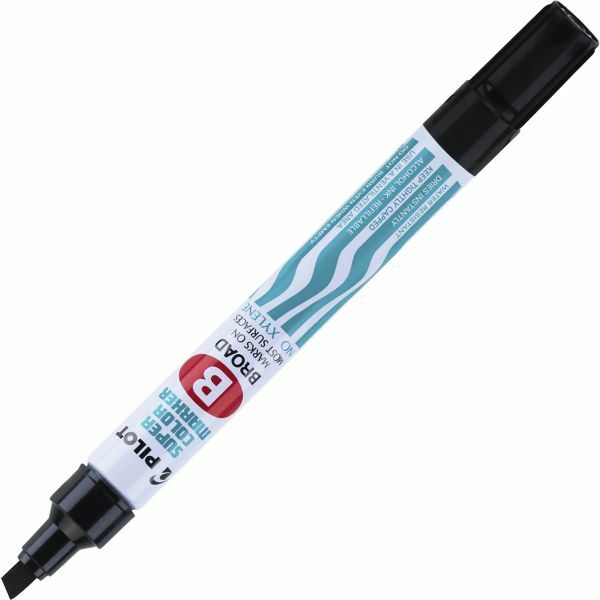 Marker offers a large-capacity supply of its oil-based ink. Refillable.